We have long supported the use of court calls and witness testimony by phone, but what about Skype, or a similar program that allows for the contemporaneous transmission of testimony without losing the ability for the court to observe the physical attributes, mannerisms, and body language of a witness? What if we could save litigants and witnesses the cost and burden of long-distance travel and increase the information available to the court? In Marriage of Swaka, the relocating parent was residing in Spain with her children while awaiting trial in Kitsap County on the father’s objection to her relocation. Before trial, the mother requested that she, her fiancé, and other witnesses be allowed to testify via Skype due to the incredible burden of traveling to the United States. The transatlantic journey would not only be costly, but it would also remove her children from school and greatly disrupt their lives. Conversely, if the children remained in Spain, they would be alone in a foreign country without their primary parent. The mother also described the father’s previous false allegations of abuse and neglect made against her and her significant other, and his efforts to have her falsely deported. As a result, there was great concern about what else would happen if she brought herself and the children to Washington. This required us to devise a creative solution. Attorneys already use Skype with some regularity to communicate with clients who travel extensively or live abroad, but we still prefer face-to-face conversations. The question became whether this was permissible — or even possible — in a trial court. While there were compelling reasons for the mother in this case not to travel, there were risks with her absence from the courtroom, as there is something lost in testimony that does not allow the court to observe the witness, their body language, their presentation, and the like. In this case, the party and her significant other presented well as healthy, kind, intelligent, and energetic individuals who would be valuable to the court in a trial setting. There is no substitute for eye contact with the court when addressing serious allegations regarding parenting. By the same token, it is useful for a litigant to have the ability to view the courtroom in order to understand and trust the process. Using Skype allows the client witness to view the judge or judicial officer making the decision, the additional witnesses who testify, and of course, their attorneys during the course of representation. The use of Skype makes common sense in almost every way and met all the requirements of Washington CR 43, which allows for contemporaneous transmissions to provide testimony in certain situations. There are also some concerns with Skype testimony. During our trial, legal counsel for the father asked if someone else was in the room or if the other witness testifying via Skype had been in the room while testimony was being given. While this was not occurring in our trial, there is a risk that someone could potentially be “coached” or listen in to the testimony while remaining out of sight. The court does relinquish a certain amount of control over the proceedings in this way, but no more so than with telephonic testimony. In fact, given the allowance for eye contact and physical observation, Skype may actually be a more secure way to testify outside of the courtroom, in that the judge can assess the physical behavior of the witness. As technology advances during a time when budget concerns are at the forefront of many public institutions, the use of Skype or videoconferencing is only likely to increase. While it is always preferable to have a litigant or witness physically present in the courtroom, if it is not practical, Skype might prove to be an attractive alternative to parties in future cases. Jamie Walker and Laura Carlsen. Jamie and Laura are attorneys at McKinley Irvin. Jamie handled the Relocation Trial (including the Motion to Allow Testimony by Skype) and Laura handled the appeal and underlying Petition for Modification/Adequate Cause Motion. For more information, visit http://www.McKinleyIrvin.com. 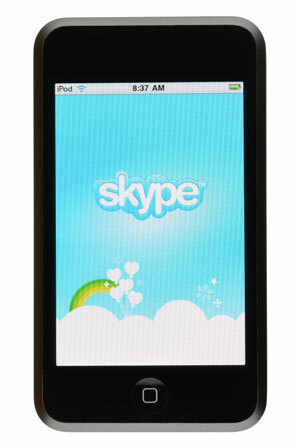 Skype can be helpful if a witness or party requires an interpreter in an unusual language. e.g. Mixtec, or Chukchi. The witness may be in court, but the interpreter may be distant. For instance, the best available interpreter for Tongan is a state-certified interpreter in Hawai’i.